Kitchens can be a place that are full of clutter. Between the pots and pans, Tupperware, and china, your kitchen can easily require the most storage space out of every room in your house. Before you know it, you may find yourself with crowded countertops or moving some of your kitchen accessories into the basement. It is for this reason that having the most current, organizational cabinetry to create the ideal storage space can transform your kitchen and make your life simpler and your cooking experience easier and more enjoyable. With the right cabinetry, you will maximize counter space and have items handy and easy to locate. A simple upgrade of your kitchen can make cleaning up a breeze and cooking fun once again. 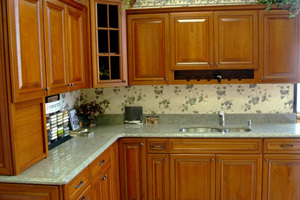 Efficient cabinets will allow you to comfortably store your kitchen essentials so they are out of sight and organized. This way, you can spend more time focusing on cooking and family and less time trying to shove everything in your outdated draws. You should never have to sacrifice style for functionality, and with cabinetry, accomplishing this is a breeze. Contact ASA Cabinets design team to find the perfect cabinetry for your personal style and needs. 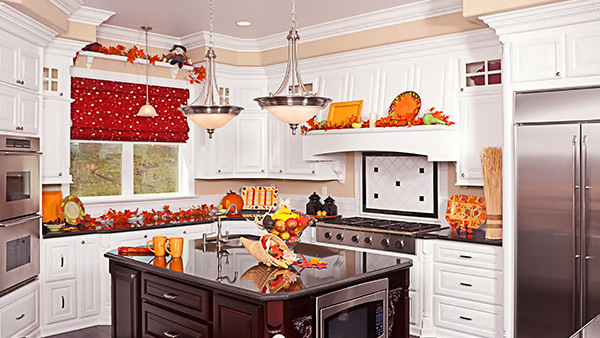 Seasonal changes are a great time to make simple modifications in your home’s decor to keep it interesting to the homeowner, current with trends, and inviting to guests. An easy, inexpensive way to bring the natural beauty of autumn inside your home is to decorate with the colors of fall foliage by using fruits and vegetables. Pumpkins, gourds, squash and apples are hardy and create appealing, seasonal centerpieces. Add votive candles to living spaces, adorn your sofas with throws and pillows and beautify your powder room with hand towels and soaps in shades of red, magenta, yellow, orange and brown to enhance the warm look of autumn throughout your home. Be reasonable, and think for the future. Prior to buying cabinets, you should think about how you see yourself using them. Will you be living here for a short time? Then maybe more affordable cabinets are the answer for you. Perhaps you’re moving soon but want to add value to your current home? Semi-custom and custom cabinets are a good idea if you’re planning on selling your home soon. Imagine someone walking into a home they might buy, and seeing brand new, custom cabinetry that compliments the kitchen with great ease. Wouldn’t that be a great selling point? Do some research on the internet and find what you would want in a new kitchen or bathroom. Find what styles and trends are popular now in cabinet design. Find something that compliments both the interior and exterior of your home or apartment. Think about how to best utilize your space and how to best spend you budget. From everyone at ASA, we hope these tips have been helpful to you and your prospective new cabinets! Do I choose stock, semi-custom, or custom work? 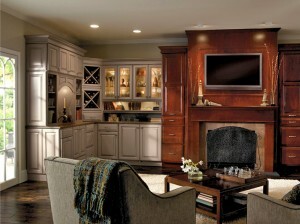 Whether you choose stock, semi-custom, or custom cabinetry depends on what you’re looking for and what your budget is. 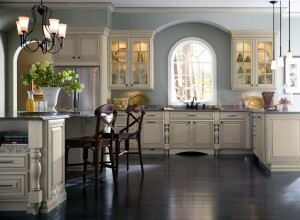 Stock cabinetry is the most affordable, but it also is the most limited in terms of sizes, styles and shapes available. Semi-custom cabinetry is the middle ground, and is factory-built with many more options for one-of-a-kind possibilities. Completely custom cabinets are the best of the best when it comes to what you get, but it does come with a price. How do I find the cabinets for me? Stock cabinets are affordable for a reason – they barely offer any customization for your project, usually leaving you with underwhelming results. 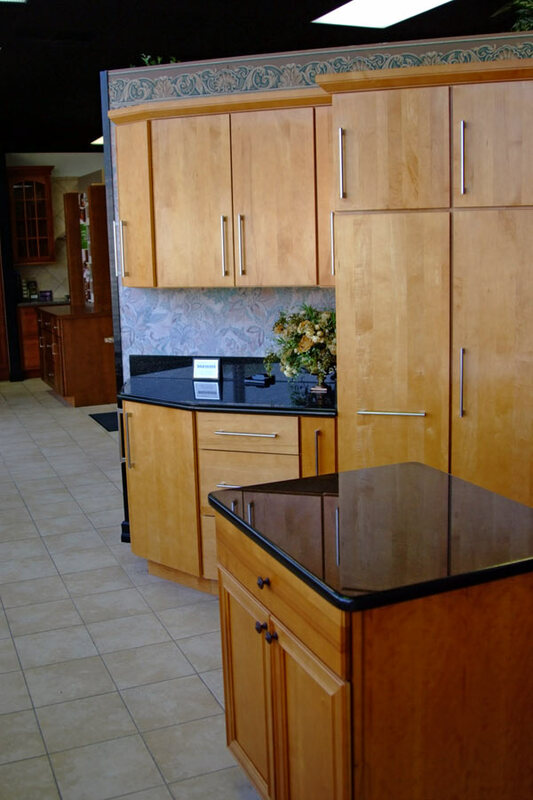 Semi-custom and custom cabinets offer you a much wider variety to suit your needs. If you have an oddly shaped space, the installers at ASA would have no problem custom-fitting a nice pantry or shelf system in there, utilizing it to the best of their ability. Wine racks, vertical dividers, lazy Susans, and pullout draws are just some of the options that semi – custom and custom cabinet work offers you. So, you’re looking for new cabinetry for you home, but you don’t even know where to begin. This little guide will help you with an introduction into everything that is cabinetry. We’ll cover the following: the project budget, the size of your cabinets, the styling of the cabinets, and let’s not forget, the installation and construction of the cabinets. The first thing you want to do when starting a project is work out your budget. Cabinetry can take up as much as 45% of your budget, so by setting this up first, you’ll be better fiscally prepared. This can be a big step financially, but don’t you worry: cabinets can take a space and completely transform it overnight, so it makes sense to invest in some that you’ll enjoy for years to come. 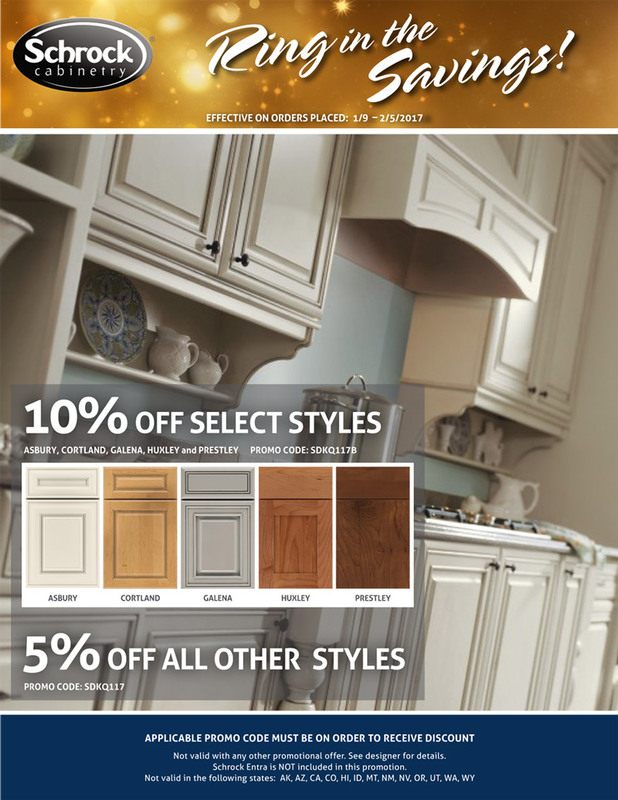 Here at ASA Cabinets, we have a large assortment of cabinet finishes and setups for you to choose from, helping you find exactly what you’re looking for. Once you space is ready, you can begin taking measurements, and it’s recommended that a professional come in and help you with that. They can help you in both taking proper measurements and in choosing the right cabinetry and installation for you. This will also come in very handy for the cabinet salesmen or home center, as they too will make better, faster decisions for you project with said notes and measurements. Getting this right the first time will have the project running smoothly, and will indefinitely save you time and money. So you’re renovating your kitchen, and everything is going pretty well. The floors are treated, the walls have a fresh coat of paint, and the windows are more efficient than ever. This brings you to the next step – installing the cabinetry. Luckily you went with ASA Cabinets, so your experience is sure to be a pleasant one. This should go without saying, but the more experience a company has, the better off you’ll probably be. ASA Cabinets and Builders Supply have been in the industry for an upwards of sixty years, so you know you’re getting nothing but top-notch cabinet quality and service. Everything from the sophisticated assortment of cabinet choices you have to the timely installation you’ll receive, you’ll be glad you went with ASA. To begin the installation process, first we need to make sure your floors are level. It’s very important that your cabinets are level horizontally and perfectly straight vertically, otherwise known as plumb. Some adjustments or modifications may be needed to fit your cabinets perfectly into the 90 degree square (where the floor meets the wall). This is a true sign of professional installation, and with ASA cabinets, you’ll get nothing short of it. Whether it’s the corner or the end cabinets that are installed first, they should be installed with great care, as they are the support structure for the rest of the installation. Once you install the first cabinets, the installation of the rest of the cabinets should be fairly easy. Make sure every additional cabinet is level and flush with the wall. Once you’re sure about placement of all pieces, mark and cut out any necessary openings for plumbing or wiring that would be coming through. Remember: measure twice, cut once! When everything is final, finish installation! Be sure to check back for more blog posts!